My blogging mate Pauleen from Family History across the Seas has issued this challenge for National Family History Month. Being a bit of a meme fan I just couldn't resist it. Thanks also to Pauleen for giving me this opportunity to reflect on my genealogy practices. As I am committed to reflection and evaluation this activity provides me with an interesting instrument for that purpose. 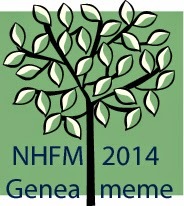 As a geneablogger it is pleasing to see a #NFHM2014 activity just for us. I hope that many of my geneablogging mates complete this activity.. You can find details here on Pauleen's blog. I am attempting to respond to this geneameme. I am trying to work through those of the 31 Activities for researchers that I haven't previously attempted.I hosted a Geniaus Google Hangout on Air that you can view here and have planned another for the final day of #NFHM2014 that you can watch here. To hear about future Hangouts how about joining my Google+ Geniaus Community? I have signed up for a SAG Webinar about Evernote with Cyndi Ingle. I am writing blog posts. I am tweeting about #NFHM2014 events and activities sousing the appropriate hashtag so that those with an interest can easily find info and stories related to the event. Paying it forward by doing some Familysearch Indexing.Perhaps i'll find some time for some research! I am hoping to be surprised. I have a commitment to CGD - Continuing genealogical Development and know that I will learn smething from all the activities in which I participate. From Cyndi I hope to learn more ways to use Evernote in my genealogy day. Sure do. I love the State Library of NSW and National Library of Australia and The Family History Library in Salt Lake City which I will visit again in 2015. I'll be visiting the SoG Library in London later this month. I have a research log in my Family Historian database into which I save tasks for these libraries and archives as well so that when I visit I can get straight to work. No way. I do lots of online research but most of this leads me to repositories here and overseas where I continue my sleuthing. In my Family Historian database which is synced via Dropbox between my big (home) laptop and my little hot pink (travel) laptop. I also have my tree online at www.geniaus.net, I use the brilliant program TNG to share my data. If offline, which genealogy program do you use? (do tell us its strengths/weaknesses if you like). In my Family Historian database. 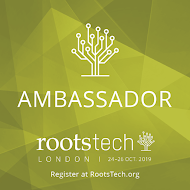 I like this program because it is so customisable and flexible, it comes out of the UK (where my ancestors came from), it uses a native gedcom format and it has super multimedia capabilities. A band of committed and experienced users have written and shared lots of widgets and addons that extend its usefulness even more. How long is a piece of string - I could go on and on about this software package. In my Family Historian database with related pictures, documents and clippings on an external hard drive (x2) and in blog posts on the Geniaus Blog. I am so caught up trying to sort out myown family history that I haven't started any other projects. I am considering a One-Na,e study for my grandmother's maiden name Pusell but fear that I may not be able to give it the time it deserves. I am wrestling with whether I should just jump in and perhaps do a poor job or leave it. But I guess that a poor attempt is better than no attempt al all. It's not research as such. The old adage "once a teacher ...always a teacher" describes me. 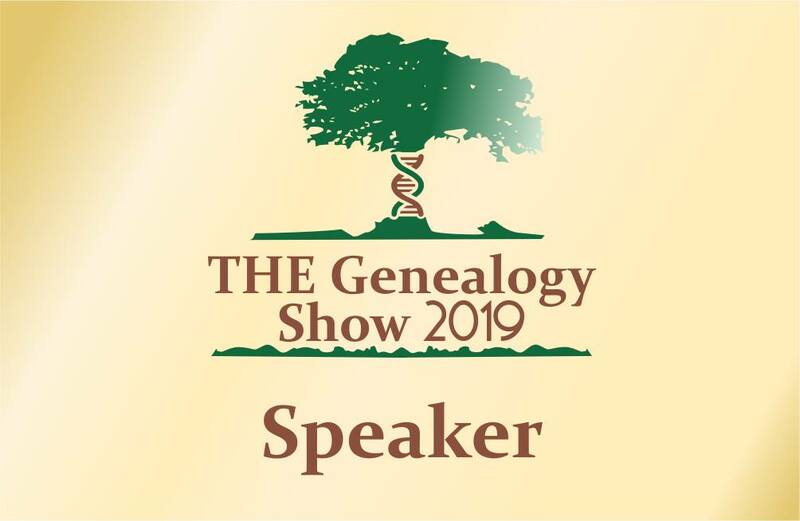 I love sharing my knowledge and passion for technology and genealogy via social media and by giving presentations online and in person. I like to talk to the living as well as the dead. There's no place like home. I love sitting in my geneacave researching, thinking, writing and sharing. It's a tie for first place. I love Trove for the wealth of treasure it adds to my tree and good old Google search for the odd things it leads me to. A well-crafted search and persistence with Google will reap rewards. I am not a fan of Facebook but because it has such a huge user base I use it reluctantly. I belong to around a dozen Facebook Genealogy Groups that are useful but I fear for some of the advice given in as some of the generous souls offering assistance are sometimes lacking in appropriate expertise or knowledge. I am both a participant and host. I love being able to learn and share from the comfort of my geneacave and in my own time. My advice is give it a go - you won't break anything. Do I use social media? I am obsessed but realise that I need a personal socila media policy so that I am not overwhelmed.I have many accounts but I use Google+ as my main social media vehicle for genealogy, I prefer to use Facebook for personal stuff but have been swept up by the hordes of genies who use it. I use Twitter to share news of events and I don't quite get Pinterest although I am trying to get a handle on it once more. 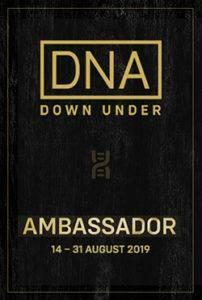 It has to be on the Unlock the Past Genealogy Cruise in February where we were exposed to a range of top international and Australian presenters. The informal learning opportunities afforded by being locked up on a ship in the middle of the ocean make this an incredible learning experience. The PIP Process. Persistence, Inventiveness and Patience. Persistence - keep at it, try, try and try again. Inventiveness - harness your creative powers, think laterally to find your way around a problem. Patience - just like Snow White believed that "one day my prince will come" believe that some day you will find your answer, it make take two, ten or twenty years to find that magic sledgehammer. Hey - I just invented the PIP process - my bit of creativity for National Family History Month. The test kits are sitting on my dressing table - must get around to it sometime. I am thinking of hosting a 12 hour GeniAus Hangout on Air event - if I can get a few genies to help out. I envisage drawing up a roster of group of genies who will talk about various topics close to their hearts with a panel who will ask questions and contribute questions just like Dear Myrtle did in her recent 24 hour Geneasleepover. Who's up for the challenge? The ancestor stories that emerge after years of personal sleuthing and collaborating with new found cousins. Such a great response Jill! I love the PIP process -is it copyrighted or can we absorb it into our vernacular along with genimates, geneacruising, geneacave and your other innovative words? I found myself nodding and agreeing so often with what you wrote. There are some dodgy responses on FB but it's my genimates who've convinced me to use it. Thanks Jill! Love the concept of a geneacave and PIP is brilliant. Thanks for the great support for NFHM! Pauleen, I have been comtemplating doing a geneadictionary for some time - just like Carmel did for Trove. 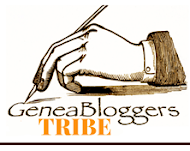 I just went over to Blogger and wordpress and set up geneadictionary blogs - I might even reserve the URL. Shauna, completing the geneameme is the least we can do for you who do so much for us. I share your sentiments about genealogy groups on Facebook. I got so exasperated that I quit (except for our private group for Genealogists for Families Kiva team members). I suspect PIP might become part of all of our geneadictionaries. I've just popped over for a look at the WP blog and I love it! What a great idea.